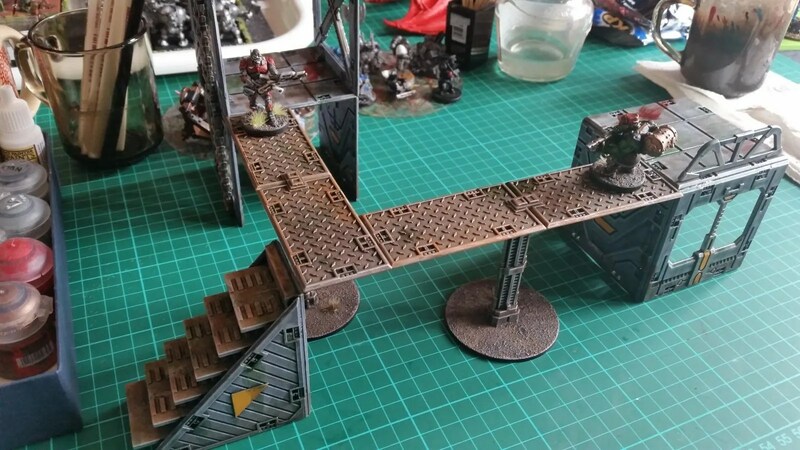 A quick paint job on the walkways and stairs got them nearly finished. The photos were taken before I nuke-proofed them with Halfords Car Lacquer then matted it down with Army Painter Matt varnish spray. After that, I’ll add some smears of blood in a few places and gloss varnish the green pools to make them look wet again. 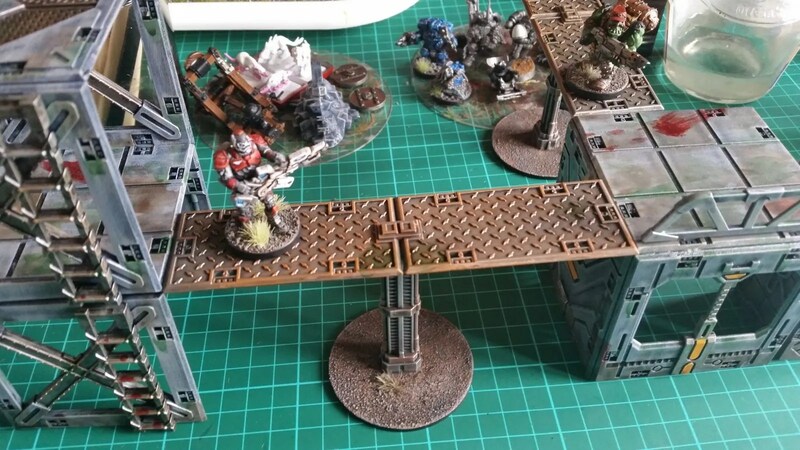 I kept the catwalk bases clear so they’d be easier to game on when figures are moving below.